President Abraham Lincoln clearly stated that the Confederate States of America and all of its soldiers, who raised weapons of war against the United States, were officially guilty of treason against America. Robert Edward Lee was the commander of the Confederate States Army and the commander of the Confederate Army of Northern Virginia in the American Civil War, from 1862 until his surrender in 1865. Robert E. Lee was never pardoned, nor was his citizenship ever restored during the remainder of his life. On June 13, 1774 Rhode Island became the first of the original Thirteen British American Colonies to introduce anti-slavery laws that would accentuate the divide between Northern and Southern states. On January 1, 1808 The United States banned the import and export of enslaved African people, one year after Great Britain abolished the slave trade. 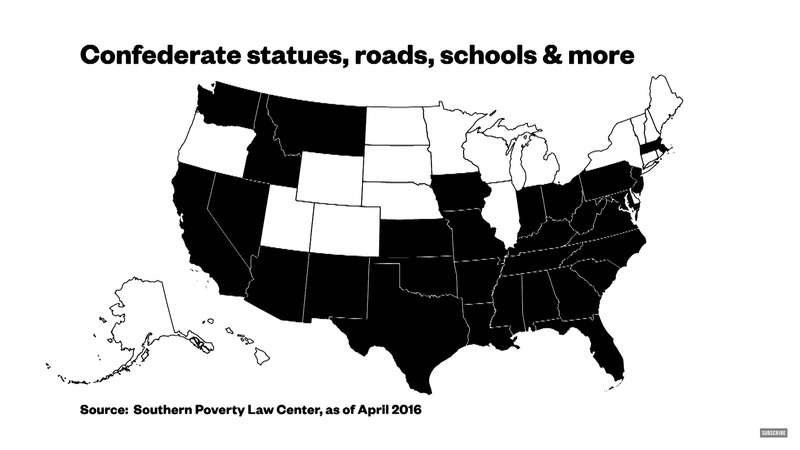 Northern states begin a gradual process of ending slavery, but the institution strengthens in the Southern states. On March 3, 1820 the more populous Northern states dominated the House of Representatives and the South sought to redress the balance. Missouri was admitted to the Union as a slave state but in the future, states north of Missouri and the 36°30′ latitude line would be admitted only if they were free. The exception was California, which was admitted to the Union in 1850 as a free state despite the parallel divide. This is known as the The Missouri Compromise. The Fugitive Slave Act was passed by the United States Congress on September 18, 1850, as part of the Compromise of 1850 between Southern slave-holding interests and Northern Free-Soilers. The Fugitive Slave Law of 1850 penalized officials who did not arrest an alleged runaway enslaved African descent people, and made them liable to a fine of $1,000. Law-enforcement officials were required to arrest people suspected of being a runaway enslaved African descent people. The suspected enslaved person could not ask for a jury trial or testify on his or her own behalf. In addition, any person aiding a runaway enslaved African descent person by providing food or shelter was subject to 6 months’ imprisonment and a $1,000 fine. Officers who captured a fugitive enslaved African descent people were entitled to a bonus or promotion for their work. Free African descent people were also be arrested and sent to the South to enter enslavement. 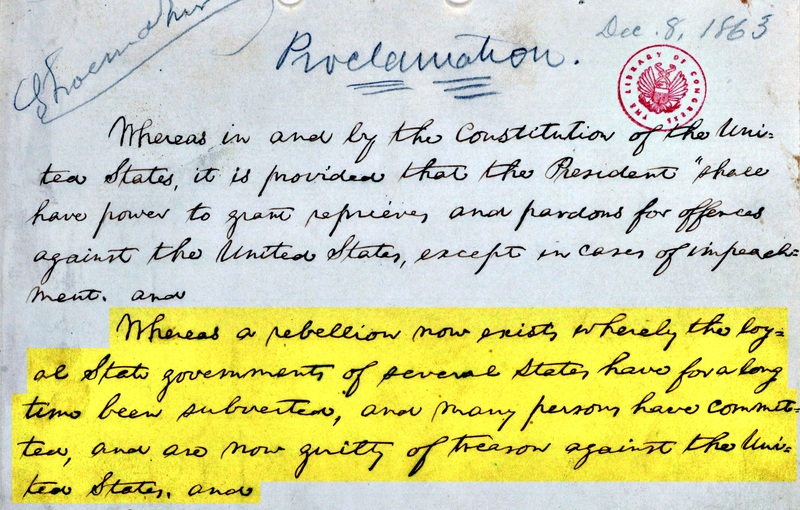 In 1855, the Wisconsin Supreme Court became the only state high court to declare the Fugitive Slave Act unconstitutional. In 1859 in Ableman v. Booth, the U.S. Supreme Court overruled the Wisconsin Supreme Court. 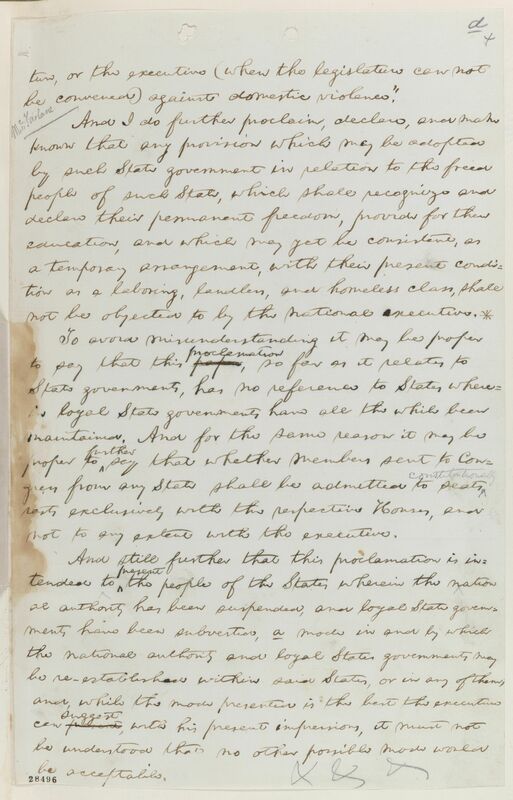 The 1854 Kansas-Nebraska Act overturned the Missouri Compromise by ceding rights to individual states to decide whether to be free or slave-holding through the process of Popular Sovereignty. Enslavers flocked into Kansas, sparking clashes with free-state Northerners on a scale that could lead to a civil war. On November 6, 1860 Abraham Lincoln was elected President of the United States as a Republican Party candidate. Lincoln won the presidential election without carrying a single Southern state. 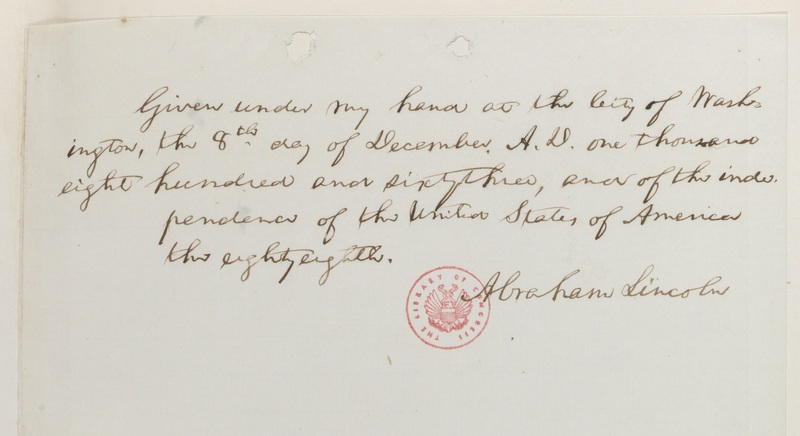 On December 20, 1860 South Carolina became the first to secede from the United States of America in the immediate aftermath of Lincoln’s election. 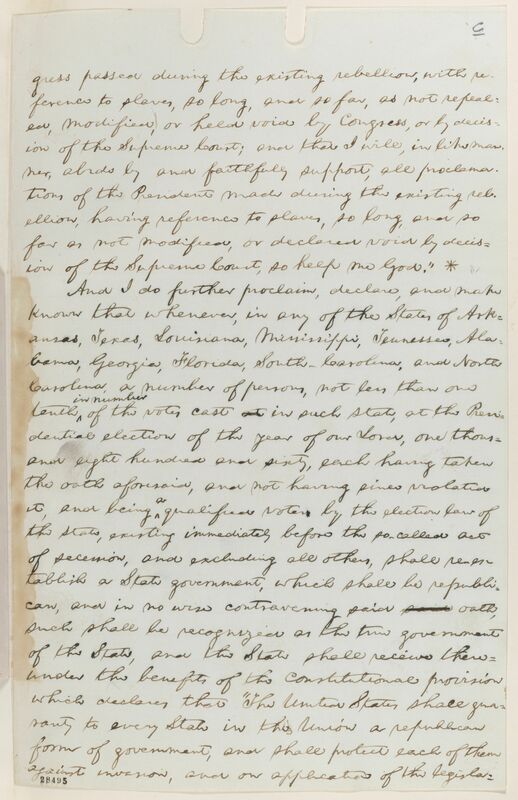 The Ordinance of Secession cites Northern hostility to slavery. On April 12, 1861 the first exchange of war in the Civil War took place off the coast of South Carolina at Fort Sumter, a garrison that had been occupied by Kentuckian Unionists. 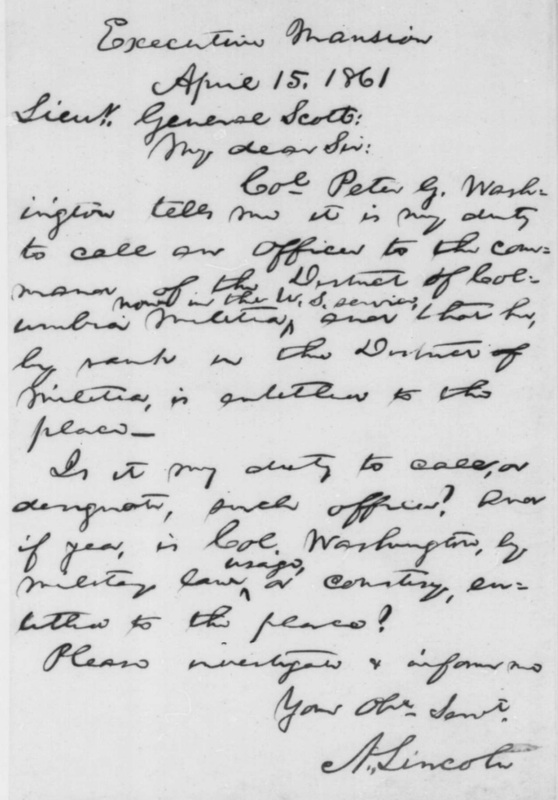 Lincoln, under public pressure, sends provisions to the previously unmanned garrison and notifies the Secessionists of his intentions. Jefferson Davis took the decision to fire on the United States’ vessel, which led to the surrender and evacuation of United States’federal troops. 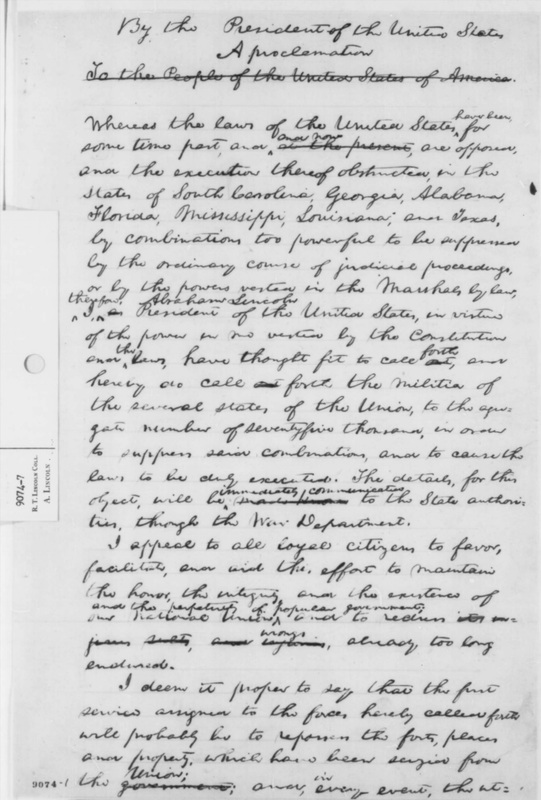 On April 15, 1861, just 3 days after the attack on Fort Sumter, President Abraham Lincoln issued a proclamation calling forth the state militias, to the sum of 75,000 troops, in order to suppress the rebellion in South Carolina. To the People of the United States of America. 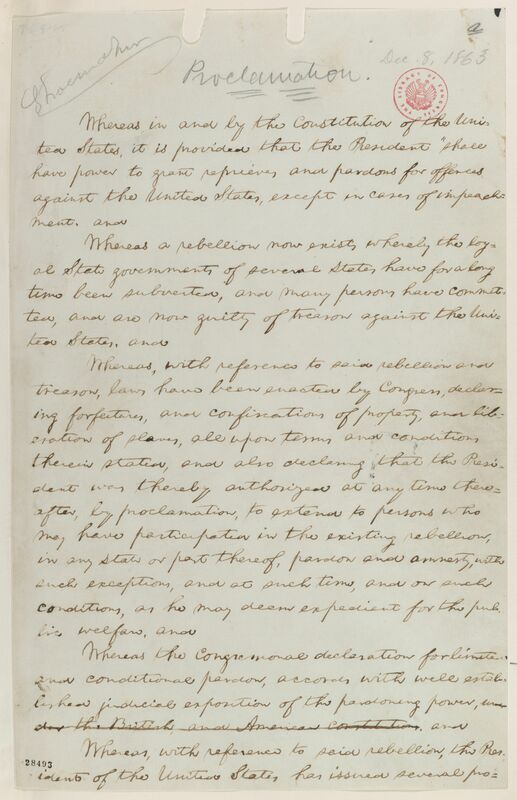 Whereas the laws of the United States have been, for some time past, and at the present and now, are opposed, and the execution thereof obstructed, in the states of South Carolina, Georgia, Alabama, Florida, Mississippi, Louisiana, and Texas, by combinations too powerful to be suppressed by the ordinary course of judicial proceedings, or by the powers vested in the Marshals by law, therefore, I, as Abraham Lincoln President of the United States, in virtue of the power in me vested by the Constitution and the laws, have thought fit to call out forth, and hereby do call out forth the militia of the several states, of the Union, to the aggregate number of seventyfive thousand, in order to suppress said combinations, and to cause the laws to be duly executed. The details, for this object, will be made known immediately communicated to the State authorities, through the War Department. I appeal to all loyal citizens to favor, facilitate, and aid this effort to maintain the honor, the integrity, and the existence of our National Union and the perpetuity of popular government; and to redress its injurious [in]sults, and injuries wrongs, already too long endured. 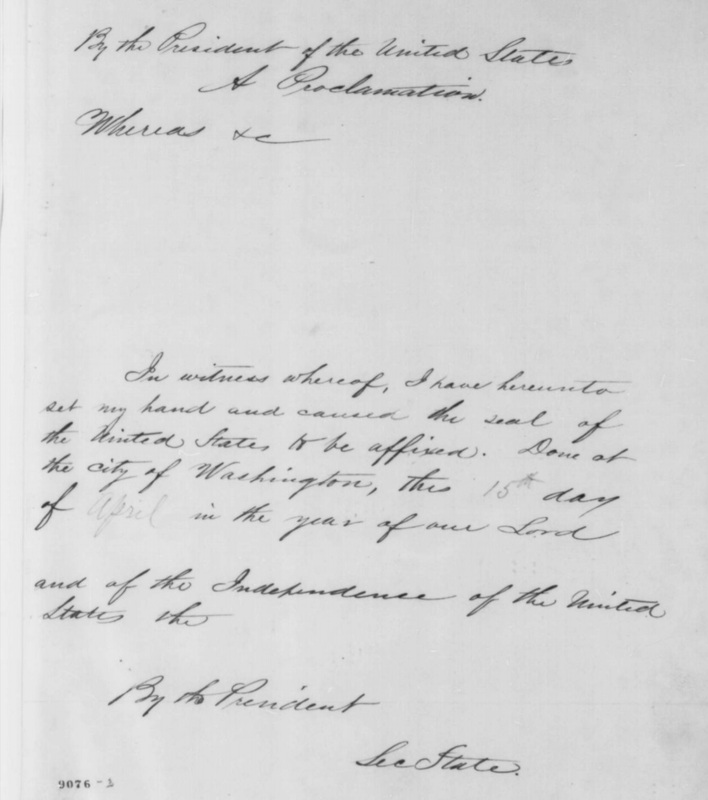 Deeming that the present condition of public affairs presents an extraordinary occasion, I do hereby in virtue of the power in me vested by the Constitution, I do hereby convene both Houses of Congress,– Senators and Representatives are therefore summoned to assemble at their respective chambers, at 12. o,clock, noon, on Thursday the fourth day of July, A. D. 1861 next, then and there to consider, and determine, such measures as, in their wisdom, the public safety, and interest, may seem to demand. 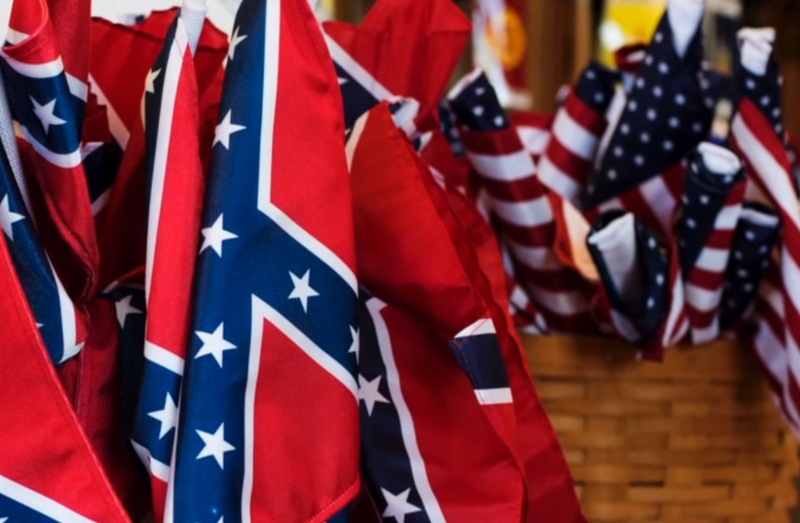 The Confederate States of America or the Confederacy or the Confederate South, was an unrecognized country in North America that existed from 1861 to 1865. 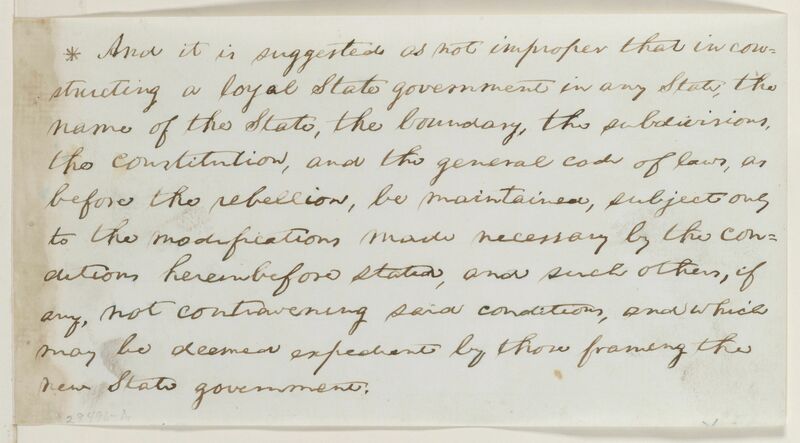 Each state declared its secession from the United States of America, which was referenced as the Union. 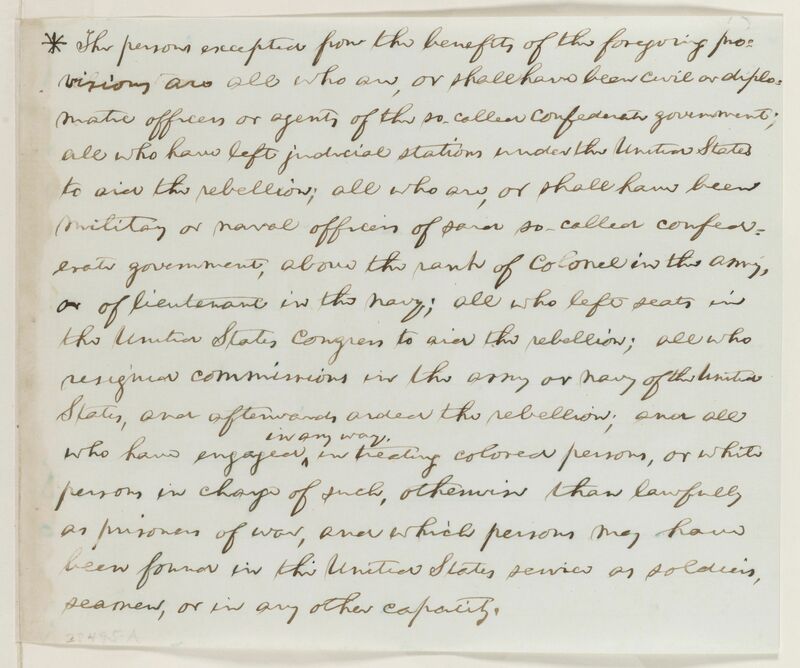 On May 29, 1865, President Andrew Johnson issued a Proclamation of Amnesty and Pardon to persons who had participated in the rebellion against the United States. There were fourteen excepted classes, though, and members of those classes had to make special application to the President. 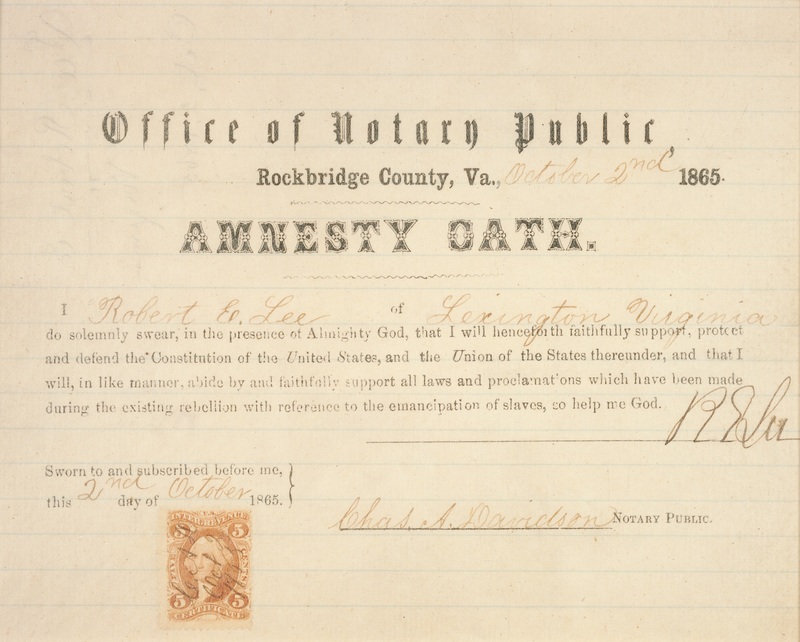 On October 2, 1865, the same day that Lee was inaugurated as president of Washington College in Lexington, Virginia, he signed his Amnesty Oath, thereby complying fully with the provision of Johnson’s proclamation. But Lee was not pardoned, nor was his citizenship restored. He died a non-citizen of the United States. 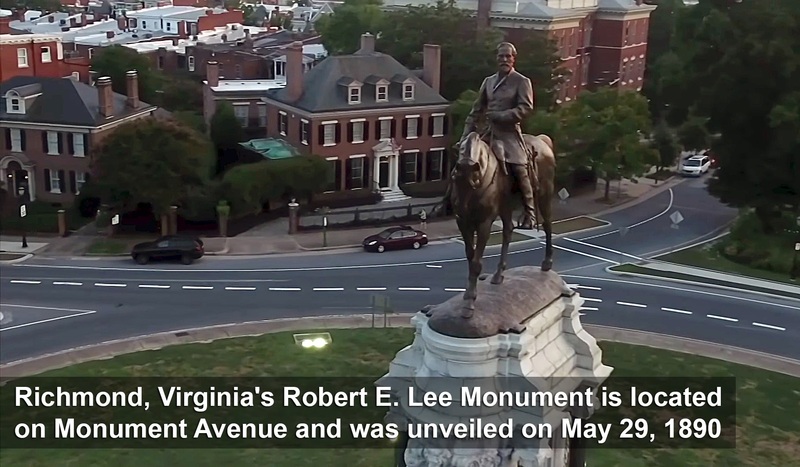 It was not until 1975, that Lee’s full rights of citizenship were posthumously restored by a joint congressional resolution effective June 13, 1865. 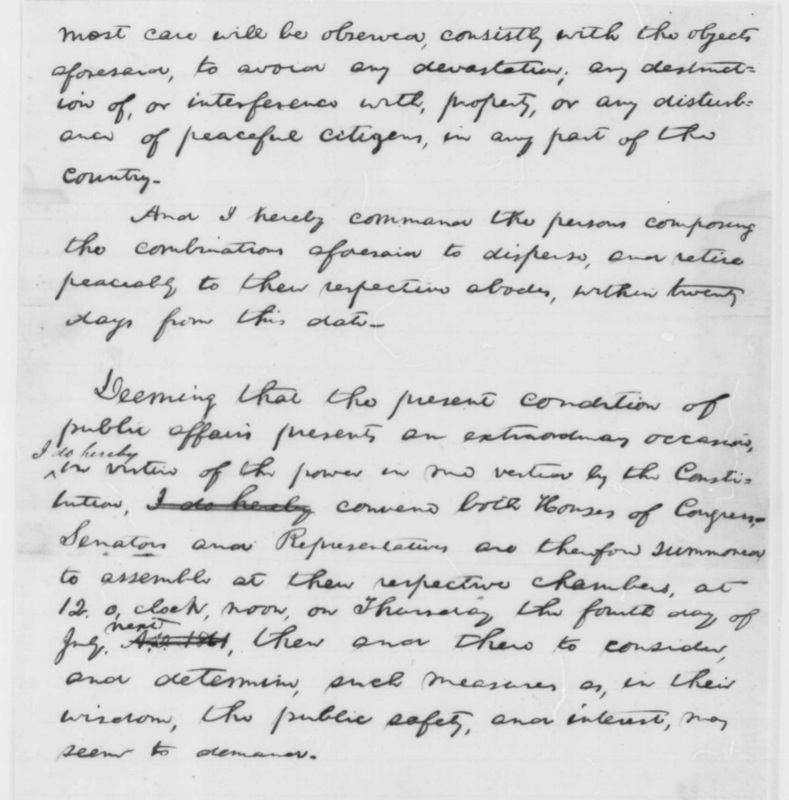 At the August 5, 1975, signing ceremony, President Gerald R. Ford acknowledged the discovery of Lee’s Oath of Allegiance in the National Archives.